Robert Frost has always been a favorite of mine. His poems are such a popular subject of study in the American education system that some folks might find him a little passé. Contrary to this view, I would argue that the reason that he is so popular is a function of the enormous aesthetic value of his works. I find this verse to be extremely poignant. Obviously, it represents the decline of life. Frost presents us with the imagery of a harvested field, birds migrating ahead of the approaching winter, withered weeds and a bare tree. There is a reference to sadness. I think that the imagery and words here are very effective. 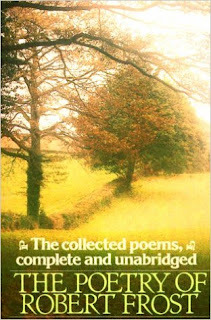 When I read this I can almost smell the scent of autumn in the air and feel the chilled air against my skin. The best of poets is capable in eliciting such memories for me. The last few lines of this work make it very distinctive. The aster flower often represents love and enchantment. It is the one flower remaining. 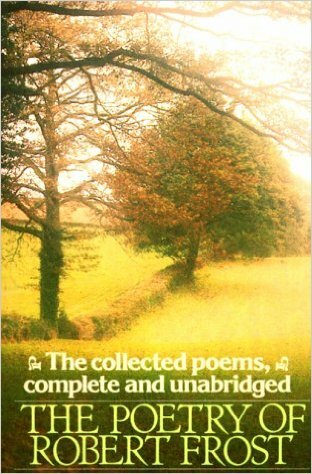 It seems that the voice of the poem is experiencing decline and may be nearing the end, but his love and sense of enchantment is still intact. In the midst of the darkness of decline and death, there is love and human connection. This is a bittersweet reference, however. The flower seems to represent the last of the positive emotions. In some ways, this adds to the sadness of verse. This level of pathos surrounding death and loss seems to me to be common in Frost’s work. The poet has such a way when he describes the grayness that seems inherent in life. Frost is not a nihilist, he values love and other positive emotions, as is illustrated in this poem. In his work, however, it is apparent that all things in life are marked by the shadow that death and loss brings to everyone. 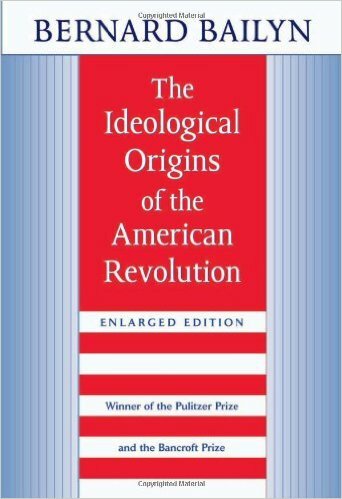 The Ideological Origins of the American Revolution by Bernard Bailyn is an essential book for anyone interested in the American Revolution or in the history of government in general. First published in 1968, this book is profoundly important in understanding the key intellectual roots and issues related to the Revolution and the founding of the American State and Federal Governments. The version of the book that I read had more recent material added by the author. Folks who I know in academia tell me that this book is required reading for many history students. There is good reason for this. To comprehend the basis of this work, it is important to understand the role that pamphleteers played in the intellectual conversation and discourse of Seventeenth and Eighteenth Century English and Colonial societies. Pamphlets, ranging from a few pages to dozens of pages long, were essentially essays that were circulated throughout English and Colonial society. The writers varied from common middle class folks to some of the greatest minds of the time including David Hume, Alexander Hamilton, Thomas Jefferson and Thomas Paine, to name just a few. Some pamphlets themselves were famous, Paine’s Common Sense being a notable example. Pamphleteers would often engage in “conversations” and “arguments,” one writer responding to another, who would respond in turn, and so forth. Bailyn conducted meticulous research on tens of thousands of these documents. As a result, he yielded great results. He references dozens of these works within this book. The author mines multiple intellectual threads that fueled not only the rebellion, but also the thinking that led to the eventual construction of the American Constitution. Multiple subjects are covered in extreme detail, ranging from any government’s right to tax, individual rights, balance of governmental powers, religion and government, and slavery, to name just a few. Most of these ideas and controversies dated back to before the English Civil War. Bailyn picks these threads up via the various pamphlets that addressed them. The evolution of relevant ideas is often followed for over a century, as they were eventually taken up by Colonial thinkers, who in turn shaped them through the American War for Independence and up to the ratification of the United States Constitution. This book is detailed and digs into many of these ideologies and issues in great depth. It is instrumental in furthering the understanding of the Revolution as well as of the history of government itself. Many concepts and conflicts pertaining to current day democracies were formulated during this period and will be familiar to anyone who now follows current events and politics. It is striking just how many of these issues are still relevant and debated today. Issues such as the power of government, Federal verses local control, taxes, etc. are still hotly contested in the twenty-first century. I must mention the current debate in America between those who contend that the American Revolution was driven by Christian Ideals verses those who contend that Enlightenment Secular Ideals drove it. While this issue is not directly addressed in this work, this book makes it clear that both played a part in all sorts of complex ways. Reading this book has made me understand how the entire premise of the debate is untenable. Bailyn’s writing can be somewhat dry at times. Also, a basic knowledge of the American Revolution, The United States Constitution, English history especially as it pertains to the Magna Carter, The English Civil War and the Glorious Revolution will be extremely helpful for prospective readers. As a result of the above, this book might bore those who are just casually interested in these subjects. Thus, I would recommend this work only to the very interested. For those who have such a strong interest in these topics however, this book is a gold mine. I recently read and blogged about James Joyce’s Ulysses. My commentary on that book is here. The particular entry on Joyce’s work ended up just a little different from my typical posts. As my comprehension of that novel was so much below my usual level, I chose to devote four or five paragraphs of my post to my personal impressions of the reading experience itself. Though I have posted in similar ways on a few other occasions, this does not reflect my usual blogging style. I should note that I subsequently rounded out this particular entry with some commentary on various aspects of the novel, thus making the commentary a little less centered upon myself. For a moment as I was formulating the post, I questioned myself, is this the way to write about a book? I am wary of analyzing books from too personal of a view. I often eschew doing so. I believe that too much personal bias gets in the way of understanding what an author is trying to say. Though I did not venture into the territory of “I liked this character” or “I related to that character,” I was writing mostly about my own reading comprehension and what I got out of the book in relation to my own limitations in understanding. Then I asked myself, is this train of thought taking the idea of blogging too seriously? This thought in turn expanded to thinking about the entire nature of my blog and of what I want to accomplish with it. I realize that I am not engaged in literary criticism, but what exactly am I doing? I cannot pretend to be conducting serious analysis. I am not qualified to do so, and one look at my commentary indicates that I am not formally doing this. In fact, when I look back at many of my posts, it turns out that to some degree, at least, I commonly incorporate my own experiences in my commentary. Yet, at the same time, albeit in an amateurish way, I do apply some aspects of criticism to my writing. Of course, what I am doing, plain and simple, is talking about books. With that, part of the way that I like to talk about books is to include some unprofessional form of literary criticism. I liken this to participating in a local sports league. One does not need to be a professional or even a very good athlete to enjoy playing a sport. So do I need to adhere to strict rules regarding criticism? Of course I do not. I do not want to restrict myself in any way like that. Nor would my unqualified efforts stand up to such a serious approach. As I allude to above, blogging about books, for me, is about sharing thoughts and ideas. Whatever thoughts and ideas seem interesting to me at the time of writing is what I write about. Why not occasionally think about and share my personal impressions of various works based upon my own biases, including likeability of characters? Yet, sometimes I like to dabble into such slightly more formal territory. Ironically for me, it adds to the fun. One beautiful thing about having one’s own blog is that there are no rules. So I can write posts in so many different ways. I can summarize a book and give my opinion on it. I can hone in on a book’s main point and agree, disagree or take a neutral stand on it. I can focus on a particular theme, passage or character and analyze that. I can just talk about how a book affected me, how I felt about it or what I learned from it. From time to time, I have found it worthwhile to employ all these approaches. Since likability or relatability of characters or plot developments is not something that I usually find very interesting, I will very rarely incorporate such musings in a post. However, I reserve the right to do so, especially if I find a noteworthy angle to that chain of reasoning. I love blogging about books. I love sharing my thoughts on reading and other issues. An eclectic approach, not just in my choice of books, but also to the way that I approach the discussion of a tome, seems to work very well for me. It has added to the joy and fun that writing and sharing ideas concerning books entails. There really are no rules. After all, I am just talking about books.